Every inch has been carefully designed for this wedding dress to make the wedding dress of your dreams come true. 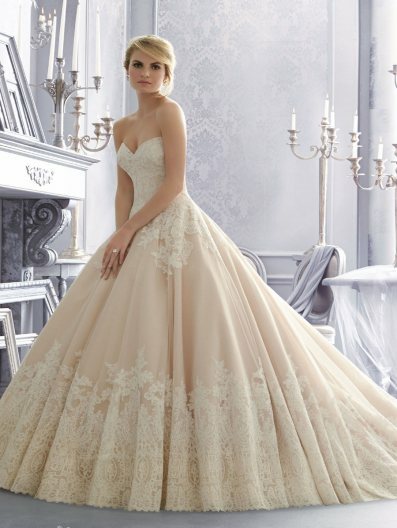 Timeless Alencon lace and Organza combine to create this stunning wedding Dress. 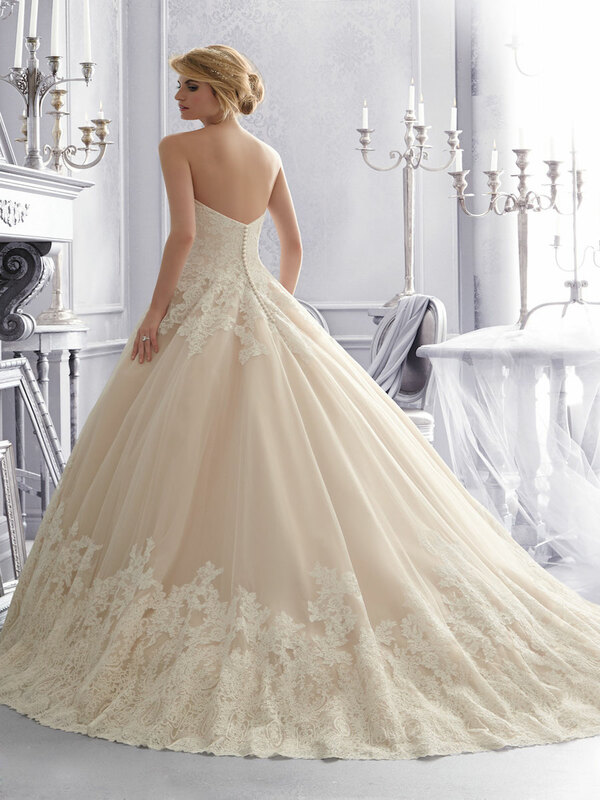 Featuring a romantic sweetheart neckline, and covered button details decorating the back. Colors available: White and Ivory and Ivory/Caramel. Sizes Avaialble: 2-28. Available in Three lengths: 55?, 58? and 61?.